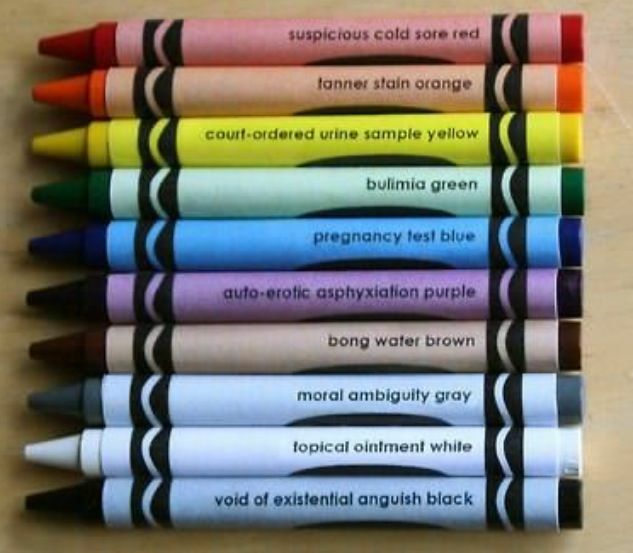 Coloring for Grown Ups &endash; the tumblr for the book of the same name &endash; posted this picture of crayons appropriate to use for their delightfully depressing activity book. It’s swell. This entry was posted in illustration, installation / sculpture and tagged coloringforgrownups, crayons, familyguy, futurama on May 12, 2013 by jonathan.